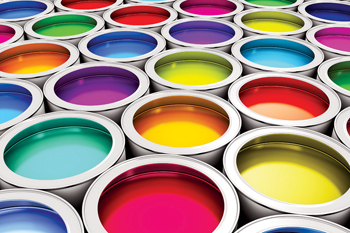 The global paints and coatings market is anticipated to achieve moderate growth over the forecast period and exceed $227.70 billion by 2025, according to a new report. The market size of this dynamic sector was estimated at 45.40 million tonnes in 2016 and is expected to grow at a compund annual growth rate (CAGR) of around 4.2 per cent to reach a total volume of 65.81 million tonnes by 2025, said a report by Grand View Research. The demand of these products globally is expected to increase significantly over the forecast period owing to its growing utilisation in various end-use industries such as automotive, marine, construction and industrial to be the major ones, the report said. Regional demand, changing consumer preference for bio based products and technological advancements will further drive this sector’s growth. Increasing applications from end-use industries such as aerospace, automotive, general industries, marine and wood have augmented the growth of the market. The growth of architectural coats is attributed to growing construction spending in emerging regions, it stated. The industry is a highly regulated industry due to presence of volatile organic compounds (VOC) in these products which are harmful for the environment. However, the industry has witnessed a huge shift towards green and bio-based products in the form of powder based and waterborne formulations. Waterborne coatings were the largest product segment in 2016 with demand of over 17.0 kilo tonnes in 2016 and is expected grow substantially over the forecast period owing to increasing demand from several application segments including construction, furniture and automobile industries. Product demand is anticipated to increase owing to increased construction spending and consumer preference especially in developed nations of Asia Pacific region for eco-friendly formulations. The global market in the past few years has grown moderately despite various uncertainties such as the economic slowdown of major economies, negative and positive influence of the low crude oil price, fluctuations in value of US dollars, the high growth rate of the US automotive and construction industry, tenuousness of the recovery of various European nations and developments in regulatory norms globally. Despite the fact that many of these factors are beyond the control of coats and glaze formulators, manufacturers, raw material and end product distributors and marketers, the industry has rapidly responded exceptionally to these crucial changes in market conditions. This has been possible owing to the introduction of various innovative manufacturing processes and technologies. From the past decade, innovative formulation technologies have significantly facilitated to cater to numerous new and diverse consumer demands. Anticorrosive protection, low VOC content coats and nano coatings are few of the newly developed concepts available in the present market. The introduction of nanotechnology has played a significant role in the industry. Apart from developing zero or low VOC content formulations, industry players have taken numerous advantages of this technology to develop nano paints and coatings, with characteristics of extremely high in nature. This includes the introduction of ceramic or metals in formulations. The integration carried out can be in the form of granules, free powder or particles which are then inserted in the finished product matrix. Some of the recent innovations that nanotechnology has enabled the formulators to develop include products that can conduct electricity, or exhibit UV protective or self-healing properties. Apart from these, they are also highly resistant to scratch, mar wear, and corrosion. Hence, these advancements in technology and introduction of new products are expected to augment future growth across the paints and coatings industry over the forecast period. The influence of the green movement is yet another recent trend in the present scenario. The industry players have been seen investing substantially in research and development initiatives to offer customers with highly substantial products and also to save energy with the introduction of new processes. Another new latest trend in product catalogues within the industry participants is the multifunctional coats such as the temperature sensitive or thermal coatings capable of reducing the transfer of heat in industrial processes. These factors are anticipated to create lucrative prospects for industry expansion across every end-use sector. Waterborne formulations were the largest product segment which generated revenue worth of over $49.70 billion in 2016. Water-based coats segment is expected to witness substantial growth over the forecast period owing to increasing demand from several application sectors including construction, furniture and automobile industries. 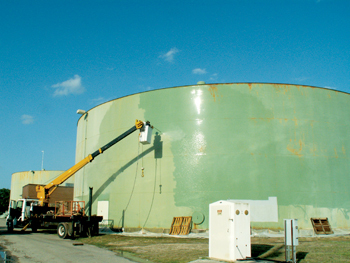 The water-based polyurethane formulations are estimated to emerge as the fastest growing type of water-based resins. Owing to increased construction spending and consumer preference especially in Asia Pacific towards eco-friendly products. The high usage of these formulations is due to the solvent-like properties of water with no harmful effects as that of synthetic counterparts. Solvent-based formulations are the most conventional ones for manufacturing the finished compositions. Aliphatic hydrocarbons, lacquer thinner, toluene and xylene are some of the most commonly used solvents in the industry. The global solvent-based product market has undergone a paradigm shift due to adverse effects on the environment because of VOC in petrochemical solvents. The demand for solvent-based coats has changed majorly in the mature economies particularly in Europe and North America due to stringent environmental norms and acts for hazardous chemicals. China is the leading consumer of solvent borne paints due to increased usage in industrial/commercial construction and automotive sectors. Companies are now shifting their consumption from traditional paints to green composition at a relatively higher cost. Acrylic segment was the largest material segment, which was valued over $60.50 billion in 2016 and is expected to grow substantially over the forecast period owing to its excellent stabilisation and weathering properties. Acrylic resins are widely used in water reducible and emulsion resins for manufacturing of coats and varnishes. Its characteristics include optical clarity, weather/UV resistance, and excellent dimensional stability. The thermoplastic nature of acrylic is an advantage over epoxy and polyester. Also, acrylic resins are used more in wet coats, which have higher VOC level as compared powder based coatings. Currently, owing to development of advanced technologies, the business has witnessed a huge shift from solvent based to water based or powder coats. Polyurethane was the fastest growing raw material segment owing to its excellent properties of long-term resistance to corrosion and retaining gloss. It is projected to be the fastest growing material segment in the industry. The architectural and decorative coats segment was the largest application segment in 2016. It is anticipated to grow at a CAGR of over 4.5 per cent over the forecast period. Increased construction spending in emerging countries is expected to trigger the demand for types of varnishes and coats in buildings and construction, which in turn is expected to drive the growth of this sector. The surge in demand for coats by water-based and powder based glazes due to changing consumer preference is expected to benefit the overall product demand. General industrial sector is expected to emerge as the largest non-architectural end-use segment by 2025, driving growth of this industry. These substances are used by several industries such as machinery manufacturing, automotive sector, oil and gas, marine sector, aerospace sector and consumer goods. The growth of these industries is expected to lead to the growing manufacturing of coats. Asia Pacific was the largest regional market in 2016. The region is also projected to be the fastest growing market over the forecast period. Emerging economies of the region such as India, Vietnam, and Taiwan are expected to witness the entry of a large number of dye manufacturers in the near future thus further adding to the production capacity of the region. Growing electronic industry in China, Thailand, and India has also driven the industry in Asia Pacific region.